A nation usually occupies part of a continent. A nation is a collection of regions. A nation may consist of or be augmented by a group of islands. Nations are cultural entities with laws that bind their regions together. Some nations are spiritual, uniting its people through common purpose. Some nations are scattered, having been displaced from their homelands, such as with the american natives. national postal system. freeways, air transportation system, inter-regional passenger and freight rail. National museums, performance halls, dance troupes, movie studios. Universities and research institutes. National Library. Meeting spaces - eg Washinton Mall. National church, cemetery. National Guard. Forest fire fighters. Emergency response teams. We have all of this organized regionally, already, I would say. Drug companies, specialized hospitals / doctors. manufacturing and chemical complexes. nation-wide services. national guilds. national banks. and so on. Oh Boy! Taxes/fees. cash flows / economics. citizen involvement ---> elected office. national media. National Anthem, Flag, Statue of Libery like things. Washington D.C is unique in America. 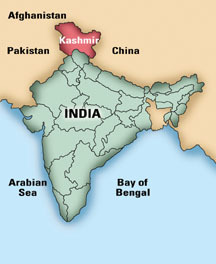 United Arab Emirates, Afghanistan, Armenia, Azerbaijan, Bangladesh, Bahrain, Brunei Darussalam, Bhutan, Cocos (Keeling) Islands, China, Christmas Island, Cyprus, Georgia, Hong Kong, Indonesia, Israel, India, British Indian Ocean Territory (Chagos Archipelago), Iraq, Iran, Jordan, Japan, Kyrgyz Republic, Cambodia, Korea, Korea, Kuwait, Kazakhstan, Lao People's Democratic Republic, Lebanon, Sri Lanka, Myanmar, Mongolia, Macao, Maldives, Malaysia, Nepal, Oman, Philippines, Pakistan, Palestinian Territory, Qatar, Russian Federation, Saudi Arabia, Singapore, Syrian Arab Republic, Thailand, Tajikistan, Timor-Leste, Turkmenistan, Turkey, Taiwan, Uzbekistan, Vietnam, United Nations Neutral Zone, Iraq-Saudi Arabia Neutral Zone, Spratly Islands, Yemen. Angola, Burkina Faso, Burundi, Benin, Botswana, Congo, Central African Republic, Congo, Cote d'Ivoire, Cameroon, Cape Verde, Djibouti, Algeria, Egypt, Western Sahara, Eritrea, Ethiopia, Gabon, Ghana, Gambia, Guinea, Equatorial Guinea, Guinea-Bissau, Kenya, Comoros, Liberia, Lesotho, Libyan Arab Jamahiriya, Morocco, Madagascar, Mali, Mauritania, Mauritius, Malawi, Mozambique, Namibia, Niger, Nigeria, Reunion, Rwanda, Seychelles, Sudan, Saint Helena, Sierra Leone, Senegal, Somalia, South Sudan, Sao Tome and Principe, Swaziland, Chad, Togo, Tunisia, Tanzania, Uganda, Mayotte, South Africa, Zambia, Zimbabwe. Antigua and Barbuda, Anguilla, Netherlands Antilles, Aruba, Barbados, Saint Barthelemy, Bermuda, Bonaire, Bahamas, Belize, Canada, Costa Rica, Cuba, Curaçao, Dominica, Dominican Republic, Grenada, Greenland, Guadeloupe, Guatemala, Honduras, Haiti, Jamaica, Saint Kitts and Nevis, Cayman Islands, Saint Lucia, Saint Martin, Martinique, Montserrat, Mexico, Nicaragua, Panama, Saint Pierre and Miquelon, Puerto Rico, El Salvador, Sint Maarten (Netherlands), Turks and Caicos Islands, Trinidad and Tobago, United States Minor Outlying Islands, United States of America, Saint Vincent and the Grenadines, British Virgin Islands, United States Virgin Islands. Andorra, Albania, Armenia, Austria, Åland Islands, Azerbaijan, Bosnia and Herzegovina, Belgium, Bulgaria, Belarus, Switzerland, Cyprus, Czech Republic, Germany, Denmark, Estonia, Spain, Finland, Faroe Islands, France, United Kingdom of Great Britain & Northern Ireland, Georgia, Guernsey, Gibraltar, Greece, Croatia, Hungary, Ireland, Isle of Man, Iceland, Italy, Jersey, Kazakhstan, Liechtenstein, Lithuania, Luxembourg, Latvia, Monaco, Moldova, Montenegro, Macedonia, Malta, Netherlands, Norway, Poland, Portugal, Romania, Serbia, Russian Federation, Sweden, Slovenia, Svalbard & Jan Mayen Islands, Slovakia (Slovak Republic), San Marino, Turkey, Ukraine, Holy See (Vatican City State).